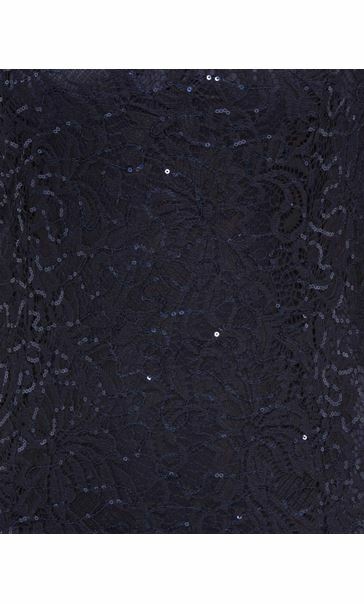 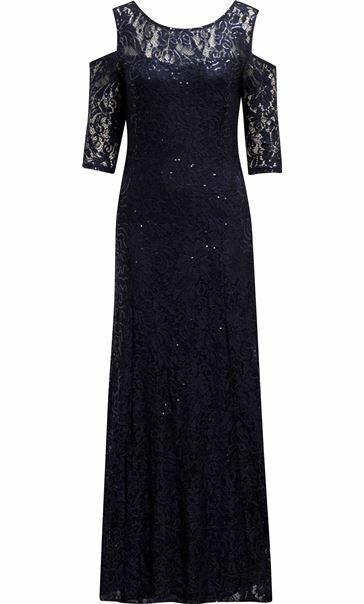 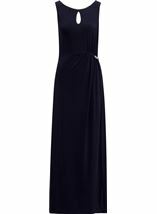 This lace maxi dress in a midnight hue will take you to that must attend event in style. 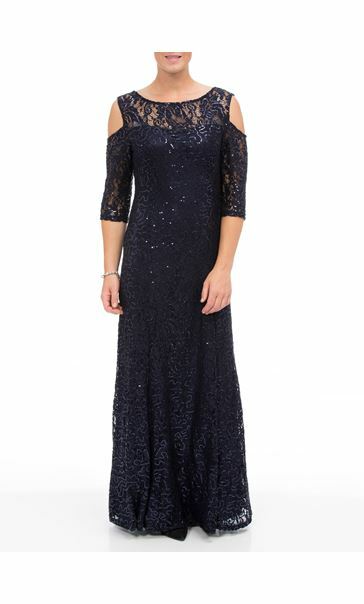 Boasting eye catching all over sequins that add a touch of glamour, three quarter length sleeves, cold shoulder and elegantly cut to flatter the figure. Complete with concealed back zip fastening and lined to the body, add heels to complete your look. 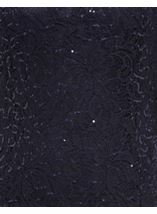 Back length 142cms. 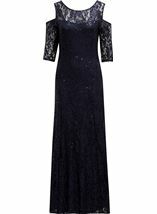 A lovely dress, size ordered by Klass measurement suggestions a little loose in places and too long.so have ordered a smaller size and will probably keep the best fit of the two. 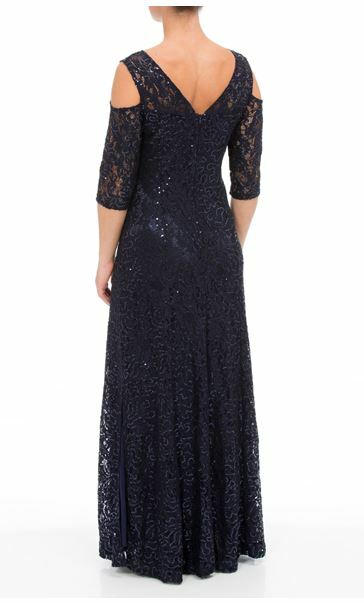 even if alterations required.